In our 50+ years combined in student ministry, church and nonprofit leadership, one of the key lessons we have learned about successful fundraising is this- getting this fundraising project approved by the powers that be in your organization will be the hardest part. Play this movie in your head- you like Team 316 and see how it will work for you. Think about who you will need to get to approve this idea before you can run with it. Is it your boss? Finance team? Your board? The janitor? (Hey, you never know.) Regardless of your organizational structure, this one truth applies- you have one shot to get this approved through your leadership power structure. Your success could mean literally thousands of dollars every year for your nonprofit. This is huge- the more you say, the less chance you will be successful. You’ll be asked questions you’re not prepared to answer right then. Our goal in the video is to lead their thinking, not the other way around. After you show the video, leave them a copy of the one page summary flyer (link below), and ask when is a good time to follow up with them to consider the next steps. We would love to coach you through the appointment setting, and even be available by conference call when the presentation is made. We’ve handled a ton of questions on this project and will be better equipped to respond. Your people will think of us as “experts” even though in reality, we just may have a few more battle scars than you. 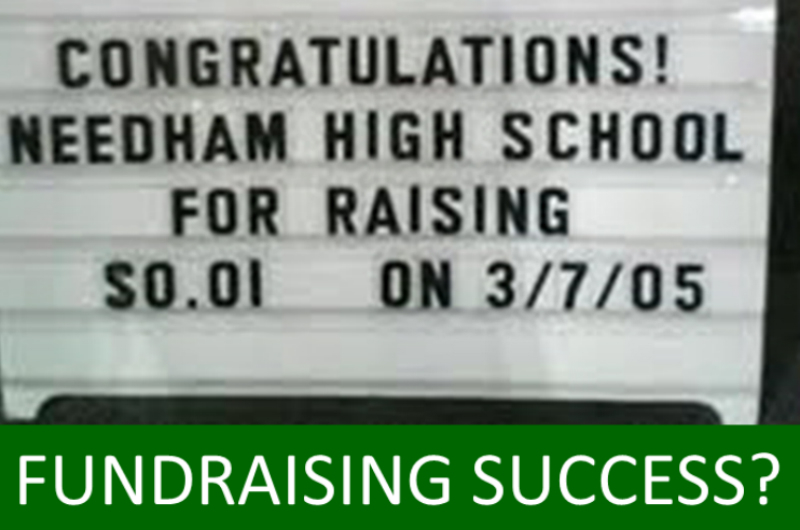 Our goal is simply that you get to use this fundraiser in your organization. The end result is meaningful dollars for your cause, raised with minimal effort in a way people will appreciate. Let’s go for it!